The Forest River Trail Park is brand new to Sunset Hills, and not yet open to the public. We originally found it overrun by honeysuckle, an invasive plant. Honeysuckle not only out-competes native plants, but also detracts from the visual beauty. In order to create a more comfortable and natural environment for the public, the Open Space Council initiated an event called “Honeysuckle Hack” in March. When the event started, it was early spring and still cold. The trees had not yet begun to green, except for the honeysuckle, making them easy to identify. The obvious difference in color gave away the invasive plant. Our passionate volunteers braved the cold to engage in this meaningful event. We dug deep into the frozen ground to remove the roots of the honeysuckle. It was laborious work, but an effective way to remove the plant permanently. We grinded up the invasive plants to return their nutrients to the soil. Maybe the best use of invasive plants is to recycle their nutrients to fertilize the land. After several outings to remove honeysuckle, the trail started to clear up. There was more space that we hope will fill in with native plants. 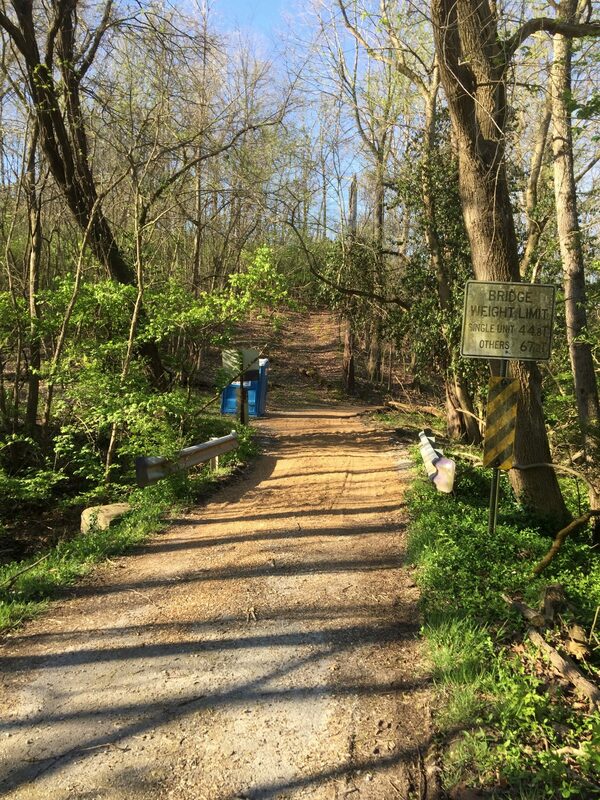 As a result, the Forest River Trail Park will be a more natural and beautiful park that everyone can enjoy. 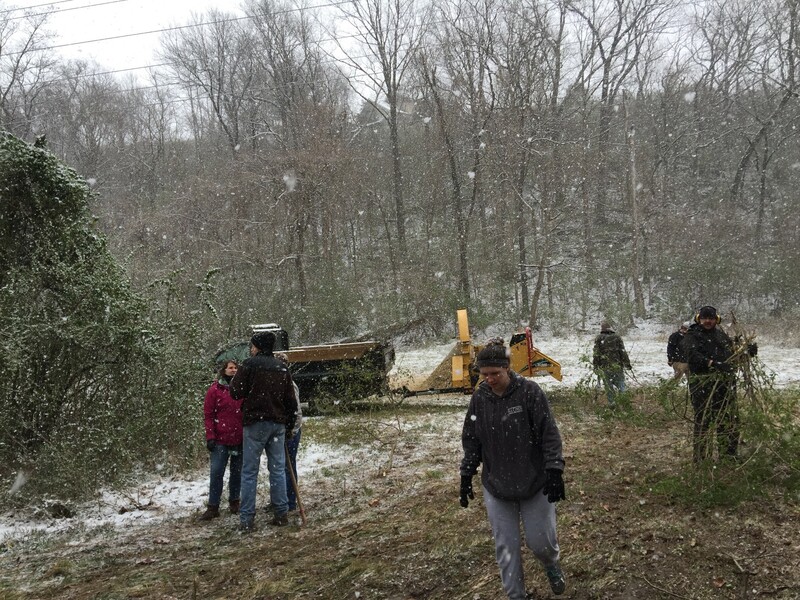 Volunteers take cut honeysuckle to the wood chipper. The honeysuckle wood chips will be reused. 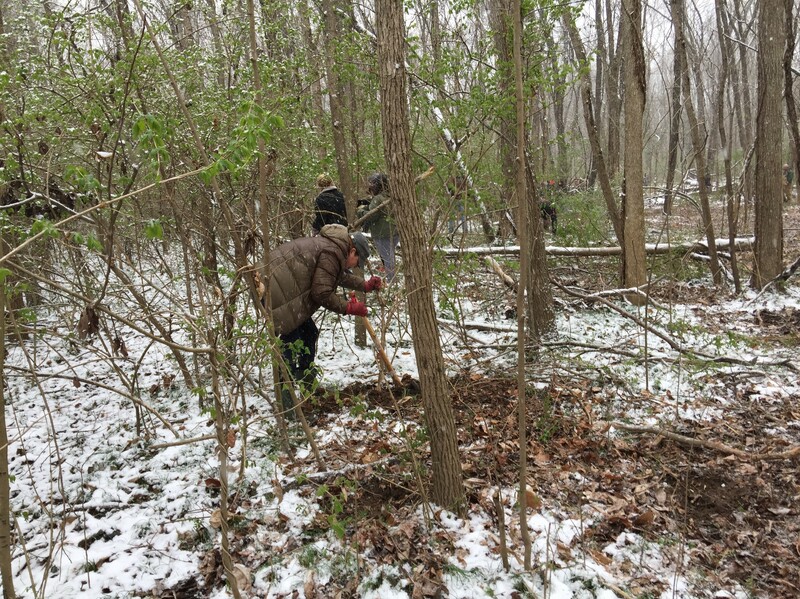 Volunteers cut honeysuckle during a snowy morning in March.